The connecting purpose has been designed within the sort of a diamond form decorated with dazzling white AD stones. 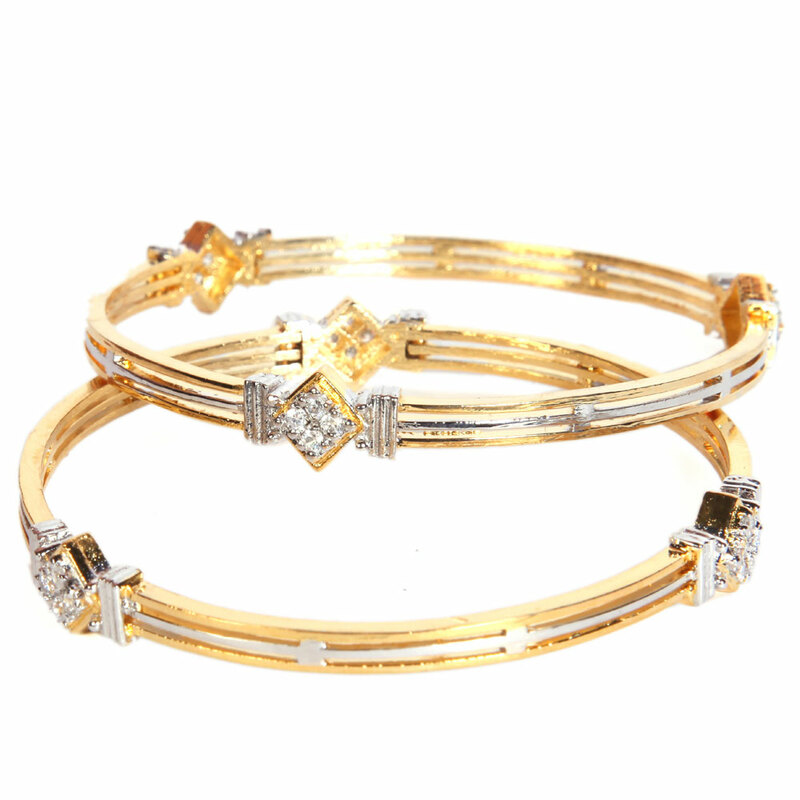 The beautiful yet simple contemporary design of this pair of fashion bangles features three lines of micro gold plated metal connected at every 1/3rd intervals Read More..along the length of the circumference. The connecting point has been designed in the form of a diamond shape studded with dazzling white AD stones. Show Less..